You can trust dental implants to provide the missing teeth replacements you need, so that you can say goodbye to uncomfortable and embarrassing situations associated with being toothless (or with missing one or several teeth, at the very least). However, it is important to keep in mind that dental implants – just like our natural teeth – will have to be properly taken care of to ensure that they (the implants) can be used and enjoyed to the fullest for a much longer period of time. 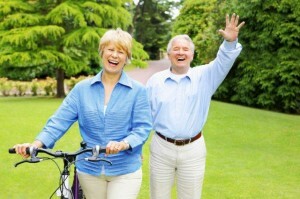 So, how will you ensure that your dental implants can be enjoyed for a long period of time? Proper dental health care is essential in ensuring that dental implants are well taken care of. Proper tooth brushing on a regular basis is needed to make sure that the implants and the teeth restorations are properly cleaned, and that no food debris will be stuck in between the restorations and the gums (which may cause gum problems in the long run, if not attended to). Just like natural teeth, the dental implants will need to be checked on a regular basis by your dentist. The regular dental checkups will ensure that the dental implants are working on an optimum level; the checkups will also ensure that any maintenance or treatment necessary will be given at the earliest possible time – minimising the need for more complicated treatments. Vigilance and proper dental health care practises will ensure that you can get the most out of your dental implants. When you take good care of your implants and teeth restorations, and with the help of your dentist – you can look forward to enjoying your dental implants for a very long time indeed!